Click here to see the video from the crew who competed at GMU on 1/26. 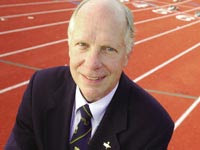 It includes the entire 1000 meters which Lewis won as well as footage from Morse and Shriver who were also victorious. Cick here to see the video from the multi-eventers at CNU on 1/25 where Guevel, Gaeto and Brower went 1, 2 and 4. Above are some pictures from Saturday's meet at GMU. 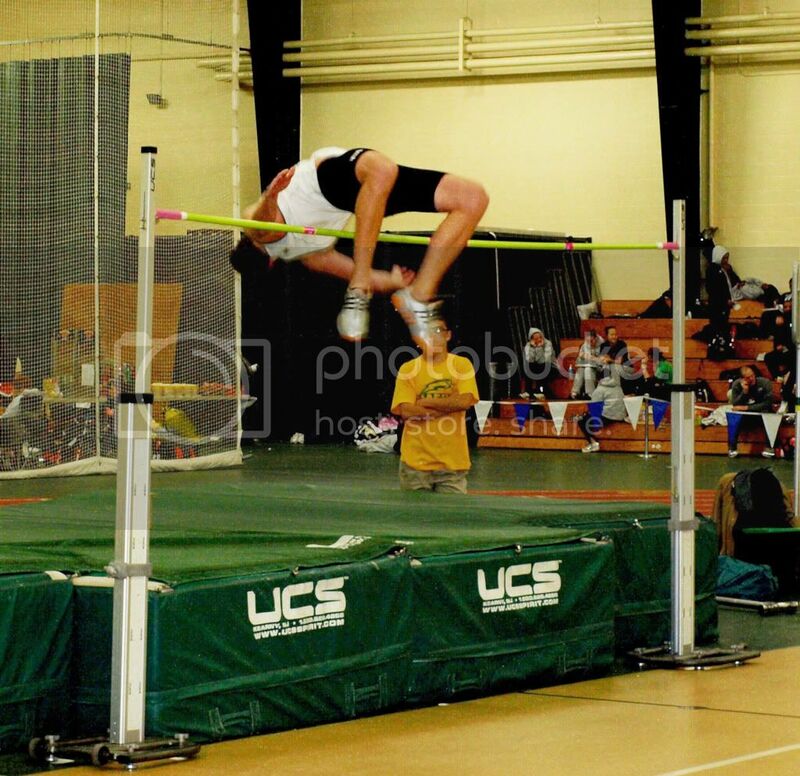 Click here for a picture of Cam Shriver attaining his new PR of 6’ 8.75." Coach Davis took this montage of our both serious and fun-loving pentathlon trio Katie Guevel, Alyssa Gaeto and Katie Brower who went 1, 2 and 4 at the CNU Invitational. Click here or on the picture above to see the women at work and play. All of the pictures can be saved and or enlarged by clicking on them. Lewis '08 has already run a 2:12 this season and is hoping for a top 8 placement at the ECAC meet this March. In this interview Allie discusses her soccer background and how she went from being a XC/mid-distance runner to someone who now splits her time between the sprinters and the distance crews. Click here to listen. Q. Congrats on your new pr of 6'8.25" in the high jump. In practice are you and Cam Shriver pretty much on an even keel - seeing as you two now have the same pr? Coach Davis was hard at work this weekend coaching and video tapping. Above is the entire race of Katie Guevel running the 2nd fastest W&M 55 hurdles ever. Click here for other video coverage including Brandon Evans jumping a new PR and a short interview with him as well as the 800 meters, shot put, pole vault, 200 meters and more high jumping. In this installment, Randy Hawthorne talks about Shelby's year+ running streak, beer cans, fundraising and how to enjoy running as the years go by. Also Emil Davis continues to add slides to his facebook page. Click here to see the 2007 Outdoor ECAC IC4A Tribe sprinter, jumpers and throwers. Here are some pictures from Meekins' 2007 victory. Look for a lot more pictures and video for upcoming meets, starting this Saturday. 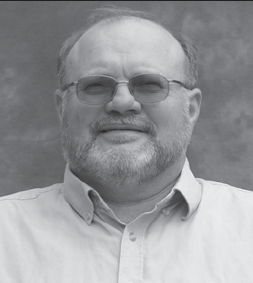 Randy Hawthorne '67 needs no introduction, but perhaps you will learn something about him here as he discusses why he started a track/field/xc newsletter 31 years ago, why he choose to stay in the burg after eight years of school at W&M and how he got the only job he has ever held. Click here to hear the interview and come back in a few days to hear the second part. Also look here Sunday for a recap of the first meet of the year at Annapolis this Saturday. Morris is the indoor record holder in the 1000 meters with a time of 2:49.6 and second on the 800 meter list. In this blog, Amy talks about her record run. 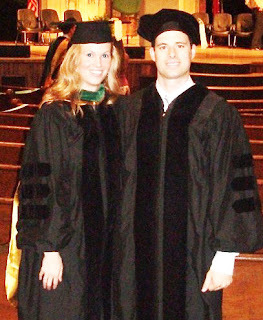 Above is a picture with her husband Erik (also class of '99). In conversations today, people will often ask how I came to attend William and Mary from Indiana. My answer, although not entirely true, is that I went there to run track and cross country. The response is usually something polite, but the concept is largely lost on a group of physicians that have spent their lives and careers in academia. Read more. Coach Davis continues to upload photos. 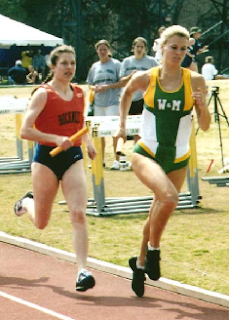 Click here to see the 2006 ECAC heptahlon with Bonnie Meekins '07 and Brenna Blevins '06 who are one-two on the all time list. Dan talks more about coaching individual events and about his tenure at W&M. The picture above is from his high school days. For those of you on our facebook.com page (type "Spiked Shoe Society" in the search engine on facebook), you can also see a childhood shot of Dan. Click here for the interview. In this interview Dan talks about where he got the name "Juice" and how he came to be at William and Mary. Click here to hear the interview. 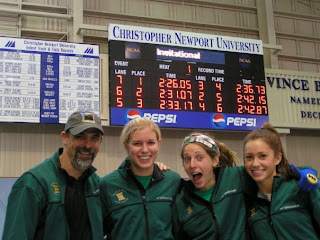 Since meets do not start until next weekend, Emil Davis created this slideshow for Bonnie's NCAA appearance last June. You can also see some video of her. For those of you on our facebook page ("Spiked Shoe Society"), Emil Davis has other older pictures you can view or download. This photo is quite an historic one. In it Davis has just finished the 1000m in his still standing school pentathlon record of 3840 at the IC4A meet. 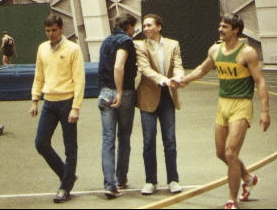 Shaking his hand is Phil Wiggins '85 who ran 1:49.7 during his tenure which still stands at # 8 all time and in the yellow sweather is Tom Noble '86 who was set the indoor 1000m school record of 2:23.24 the following year which today rests at #3 all time. To hear the interview, click here. Click on the picture above to see Coach Davis' video from the Liberty Invitational. The footage includes Cam Shriver's IC4A qualifying jump and Katie Guevel's freshman record 60mH start. Admittedty this will be better for team members and their parents, but here are the directions to download any of the youtube.com videos we have. If you are at all confused by these directions, e-mail me and I will send you a how to sheet complete with pictures. Click here to get the instructions. Click on the image above to see any of 19 separate videos from the CNU meet. Also if you worked with Coach Davis over the last 8 years, contact him via our Spiked Shoe Society facebook page and he will be happy to upload video of you to his youtube.com account. We Now Are On Facebook! A year ago, I barely knew what a blog was and am still learning how to improve this one. To that end, we are expanding coverage of this blog with more video (including interviews) from Coach Emil Davis '85, as well as occasional podcast interviews from Ali Henderson '03. Finally for those of you who want to better connect your own lives, please consider joining our "Spiked Shoe Society" network on facebook.com. Kristyn Shiring '07 (kristyn.shiring@gmail.com) will be helping me with this so e-mail one or both of us if you have questions. I know it is mostly for the under 30 set, but if you are a long time alum such as myself, I would encourage you to use it to share family photos and be better connected to the people who made your W&M experience so memorable.